Restocked! The perfect Thread snip. Micro-serration on one blade allows for precise cutting use right or left handed. 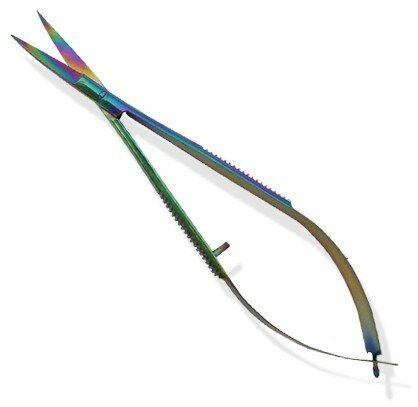 Lightweight, ergonomic spring action snips allows you to get under tiny stitches for easy removal. A perfect companion for all quilters, embroidery, sewers. Spring action allows both left handed and right handed people to use, and perfect for people with ailments that prevent them from using normal thread scissors. Eliminates accidental snips of the fabric. Great for snipping stitches and thread tails and knots in needlework, embroidery, quilting and sewing. Fine tips allow you to get under tight stitches.